In May, anti-communist California State Assemblywoman Janet Nguyen (R -Santa Ana), pushed back hard against Assembly colleague San Francisco Democrat Rob Bonta‘s Assembly Bill 22. Bill 22 would have allowed communists to work legally in the California government. On May 10, the bill passed the Assembly and was headed for a rubber stamp Senate vote, but with the support of her electoral district, often referred to as “Little Saigon,” Nguyen launched a petition to oppose the legislation. On May 18, after intense pressure from Nguyen and Assemblyman Travis Allen (R-Huntington Beach) who called Bill 22 “blatantly offensive to all Californians,”Bonta withdrew the measure and apologized to U.S. military veterans and refugees from the Vietnamese Communist regime. Rep. Rob Bonta should not get off the hook so easily. Far from protecting innocent political activists from government overreach, Bonta was much more likely protecting serious security risks from the legal consequences of their subversive activities. This organization advocated the forceful overthrow of both the United States and Philippines governments. Many former KDP activists continue to network with each other, and other communist organizations, and many hold influential California government jobs to this day. 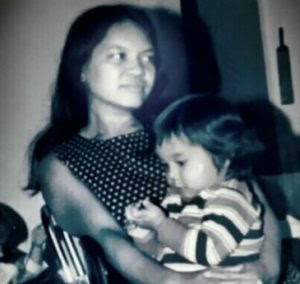 Bonta’s mother Cynthia Bonta (pictured above with young Rob) was a very active member of the KDP, and both mother and son remain close to many ex-KDP comrades. 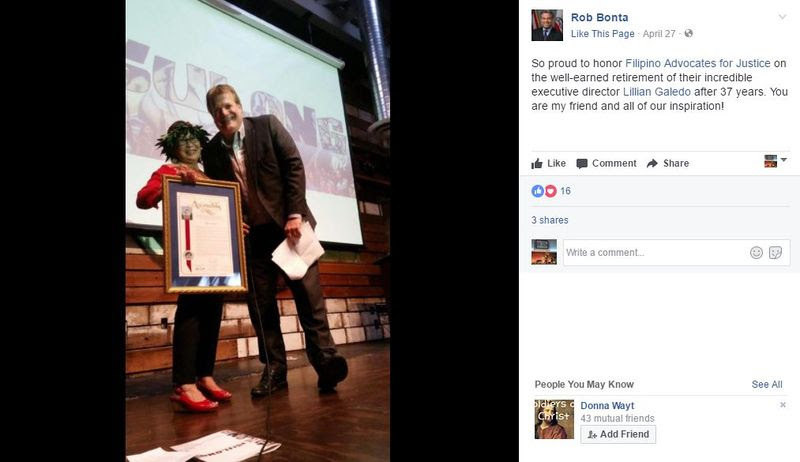 Until recently Rob Bonta served on the board of Filipino Advocates for Justice, under former KDP member and Cynthia Bonta’s long time comrade Lillian Galedo. Among the KDP’s founders were radical Filipino-Americans, as well as movement veterans from the Philippines. In the spring of 1970 a series of mass protests in Manila, known as the First Quarter Storm, threatened to topple President Marcos. The movement was brutally suppressed by the military, prompting many anxious parents to send their activist children to sanctuary in the United States. Many of these young expatriates continued with their political work by joining the KDP, providing their American comrades with direct ties to the Communist Party of the Philippines and the underground New People’s Army. Cynthia Maglaya immigrated to the U.S. in 1970 and settled in the San Francisco Bay Area. Maglaya had been a student leader in the Kabataang Makabayan, a Communist Party of the Philippines-controlled student organization prominent during the First Quarter Storm. Before leaving the Philippines, she was assigned the responsibility of building support for the Philippine revolution in the U.S.
Maglaya would later become one of the three main founders and national leaders of the KDP. Many U.S.-born KDP leaders traveled to the Philippines to work with the underground. Some were arrested, but as American citizens, received comparatively lenient treatment, usually a short stint in jail, followed by deportation. 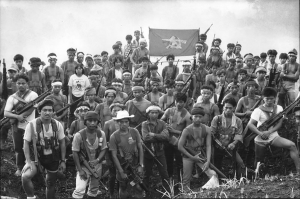 Initially the KDP had two main purposes – supporting revolution in the Philippines, and instigating revolution in the U.S.
Around 1980 the KDP merged with the Line of March, a re-grouping of many strands of the fractured U.S. Maoist movement. While part of Line of March, the KDP continued to operate as a semi-autonomous entity. 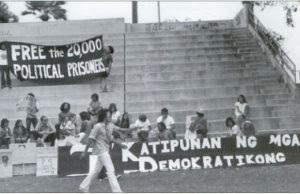 After 1982 the KDP lost many of its ties to the Philippines underground and shifted its focus to the American revolution. The KDP completely submerged into Line of March after the 1986 death of Marcos. 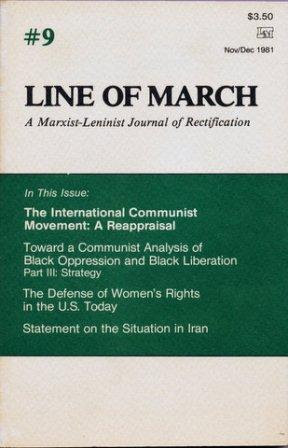 In 1990/91 the Line of March disbanded as many ex-members moved into the Democratic Party, where many of them are still active. For example several ex-KDP/Line of March activists, including Florante Ibanez and Rose Ibanez, David Kimbrough and Carol Ojeda-Kimbrough, held a fundraiser, in Los Angeles on May 28, 2010 to help elect Karen Bass to the U.S. House of Representatives. Rep. Bass had very close ties to Line of March through the early 1980s. Many ex-KDP and Line of March activists still network extensively in California and Washington State. They are still very influential in the Los Angeles and especially the Bay Area where local government is heavily infiltrated by former Maoists from Line of March, Communist Workers Party, the League for Revolutionary Struggle, and the still highly active Freedom Road Socialist Organization. Rob Bonta’s successful 2012 campaign got a big boost with the endorsement of Wilma Chan, an Alameda County Board of Supervisors member, and former California State Assembly Majority Leader (2002–2004). Chan was a former leader of the League for Revolutionary Struggle. Many former KDP activists hold government, or quasi-government jobs in California. Given that the organization was never more than 300 strong, it is likely that Rob and Cynthia Bonta know most, if not all of them personally. Maria Abedesco – An ex-KDP and Line of March member. Now a Labor Specialist with the UC Berkeley Labor Center. Working with the National Democratic Institute as a consultant-trainer, Abadesco traveled to Cairo, Egypt and Morocco, working with the newly-established Arab Network for Democracy. Maria Abadesco has served on the State Central Committee of the Democratic Party. Edwin Batongbacal – Philippines born and educated, Batongbacal was former aide to Luisito Balgos de la Cruz aka “Ka Rexie”, one time executive committee member of the eastern central Luzon regional organization of the Communist Party of the Philippines. An ex-KDP member Batongbacal now serves as Director of Adult and Older Adult Service for the Community Behavioral Health Services as a Member of Governing Board at San Francisco Health Plan. Batongbacal traveled to Cuba, circa 2013 on a “research and educational” trip. Emil de Guzman – An ex-KDP member, now a Mediator with the San Francisco Human Rights Commission. Emil de Guzman was Part of a 2016 labor delegation to Communist Vietnam, led by former Communist Workers Party member Kent Wong. Estella Habal – An ex-KDP and Line of March member. Now Assistant Professor of Social Science and Asian American Studies at San Jose State University. Florante Ibanez – An ex-KDP member. In 2014 Ibanez was appointed to the California Library Services Board by Governor Jerry Brown. Rose Ibanez – An ex-KDP member , now working at the Los Angeles County Community Development Commission. Active in the Democratic Party. Bruce Occena – An ex-KDP and Line of March leader. Now the Project Director for Health Access’ Video Medical Interpretation project, working to implement this new technology to assist patients in getting linguistically appropriate care in Oakland. Previously he ran the Substance Abuse Program at the San Francisco Department of Public Health. Carol Ojeda-Kimbrough – An ex-KDP leader, now a member of the Los Angeles County Commission on Public Social Services. Active in the Democratic Party. Melinda Paras – An ex-KDP, and Line of March leader. Paras was deported from the Philippines in the early 1970s for working with the underground communist resistance. She named her daughter after a close friend who joined the New People’s Army and died fighting Philippines government forces. Paras runs the Translation Network, a company that works with state healthcare providers. Felix Tuyay – An ex-KDP member. Now a Professor. Department: School of Arts, Communication and Social Sciences. Southwestern College, Chula Vista. 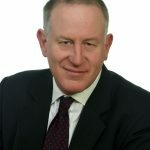 Victor Uno – An ex-KDP and Line of March member. Appointed by then Oakland mayor Jean Quan (a former member of the Communist Workers Party) to the Oakland Port Board of Directors. *Profiles for the above individuals can be found at Keywiki.org. There are thousands of ex- and current communists working in the California State government. Some are Maoists, some are Trotskyists, some are orthodox communists, some are Democratic Socialists of America crypto-communists. We can safely assume that most consider it their revolutionary duty to use their government posts to advance socialism at every possible opportunity. Bonta’s bill was of more than symbolic importance. It would have made it easier and safer for Californian revolutionaries to use their taxpayer-funded positions to destroy the freedoms of the very people who pay their (usually very generous) salaries. 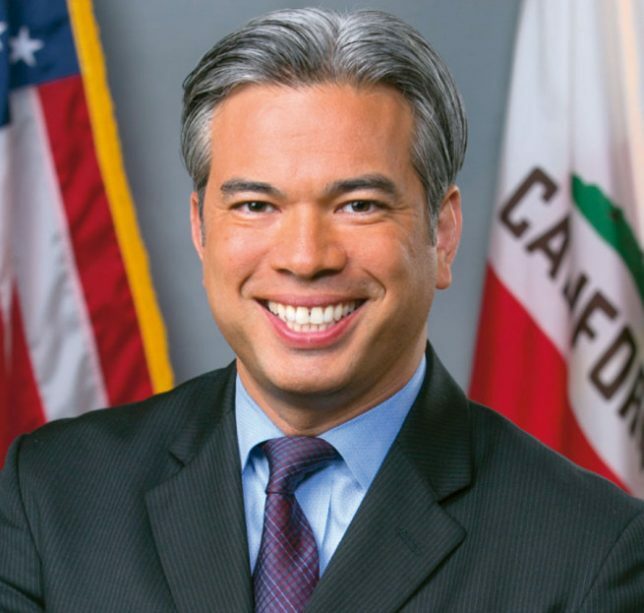 In 2013, Bonta introduced legislation that would require California public schools to teach students the contributions of Filipino Americans to the farm labor movement. It was signed into law in October of that same year by Gov. Jerry Brown. As most prominent Californian Filipino labor leaders, such a Philip Veracruz, Fernando Gapasin, Larry Itliong or Cynthia Bonta, were revolutionaries of some stripe, it is easy to see the potential for communist propaganda in this measure. Assemblyman Bonta is doing the communists’ dirty work for them. He should be publicly held to account for his communist sympathies, his lies and subterfuge.